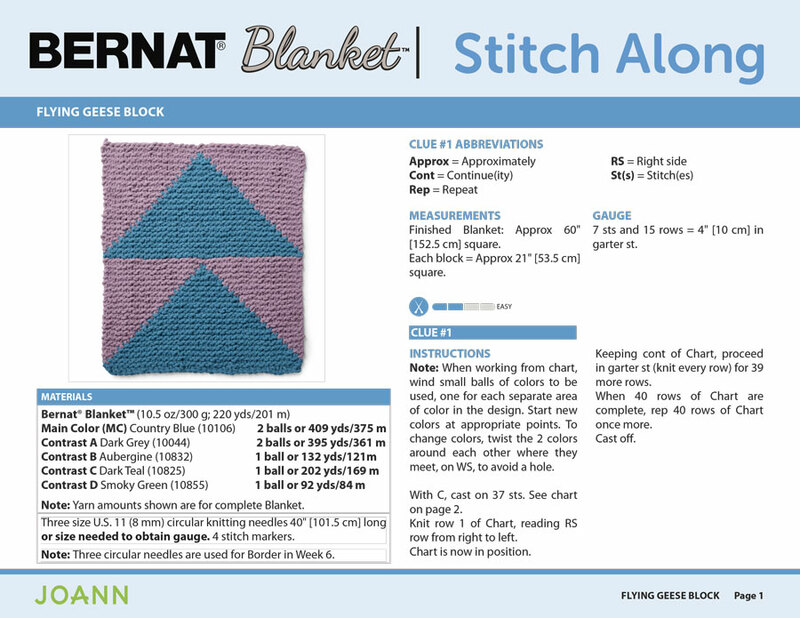 Join us as we complete a beautiful afghan blanket over the entire 6 weeks of the Bernat Stitch Along. There are 2 bonus projects for those of you who want a little more. During weeks 1, 2, and 3 we will work on a comfy pillow. 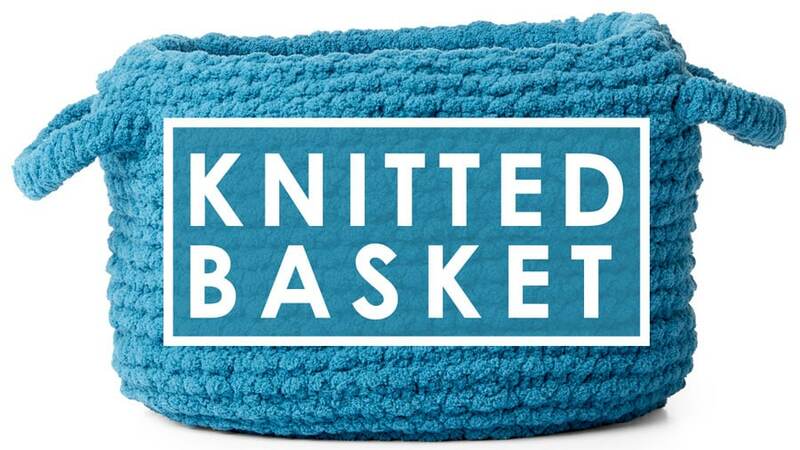 Then weeks 4, 5, and 6, we’re also knitting up a basket. 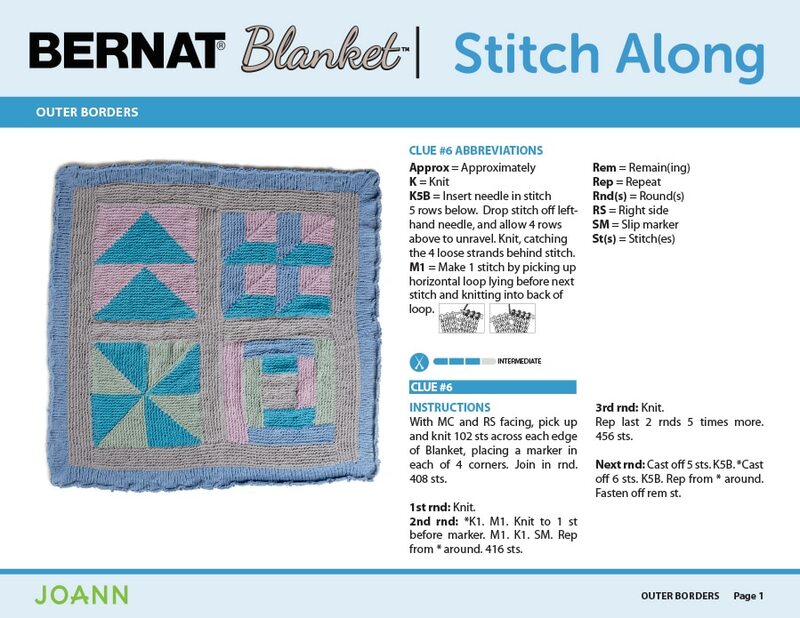 BERNAT STITCH ALONG CLUES REVEALED: Find all of your Stitch Along Clues right here on this website page. Each Clue includes a new video and a link to download a printable knitting pattern. 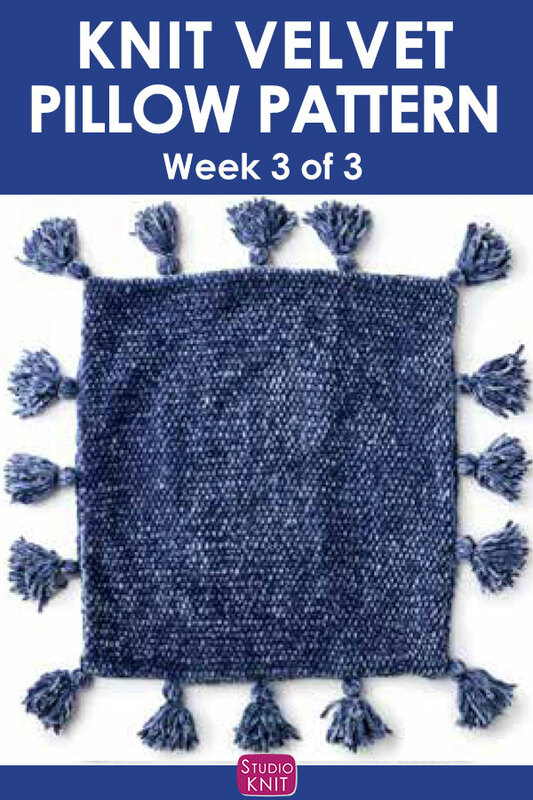 Weekly videos show you the finished versions of how my section knitted up that week. 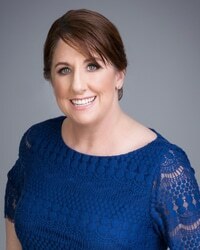 I’ll also give you an overview by giving close-up knitting tips and techniques to help you fully understand that week’s written pattern. 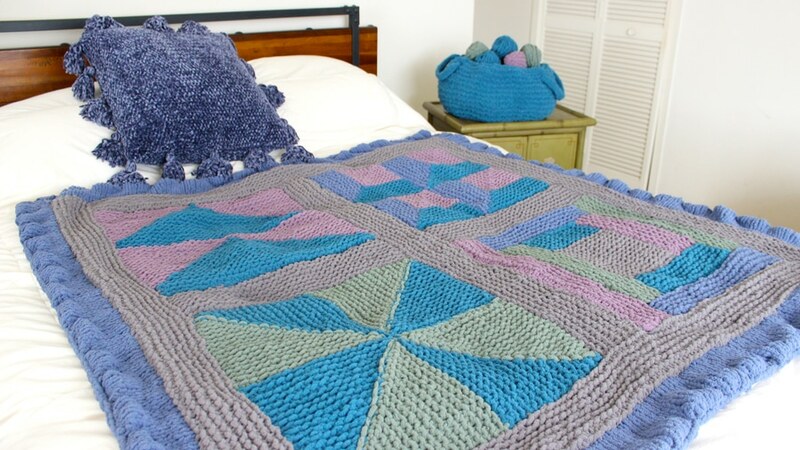 These project designs are great for those of you who have completed my Absolute Beginner Knitting Series. There are a lot of cool ideas to intrigue those of you who are a little more advanced. 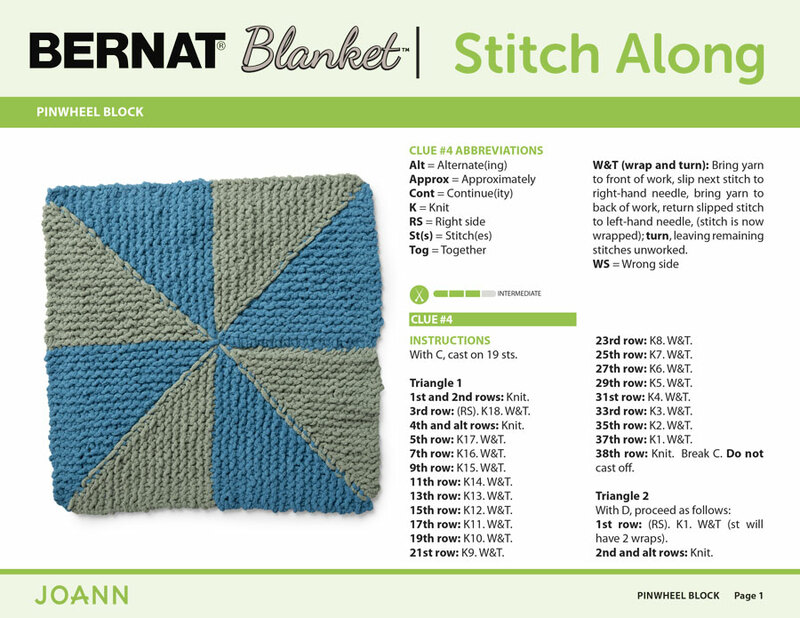 We’ll work as a community to create our projects start to finish together in the Bernat Stitch Along page on Facebook. In the comment section of each weekly video, please share your progress, let everyone know how it’s going, and you can add your photos there, too. The textures of these cozy Bernat yarns work together to complement each other, adding depth to your home decor. The colors are available in similar and complementary shades to help you create a unified look for your home. You can find everything you need to purchase over at JOANN.com or simply visit your local JOANN Store to buy everything today. 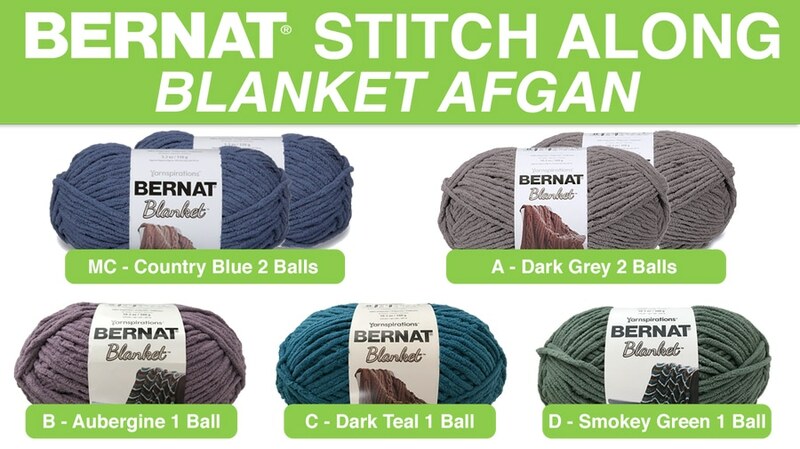 Bernat Blanket is an ultra cozy, super bulky chenille-style yarn, available in a range of stylish shades to compliment any home decor. Feel free to select any colors of your choice. Here are the shades that I’m using to knit up my Blanket Afghan. My yarn colors Aubergine, Dark Teal, and Smokey Green are new shades available exclusively at JOANN. We are using circular needles size 11 US or 8 mm that are 36 inches or longer. In weeks 1 thru 5 we are just using one circular needle, but in week 6, we will need 3 needles total. 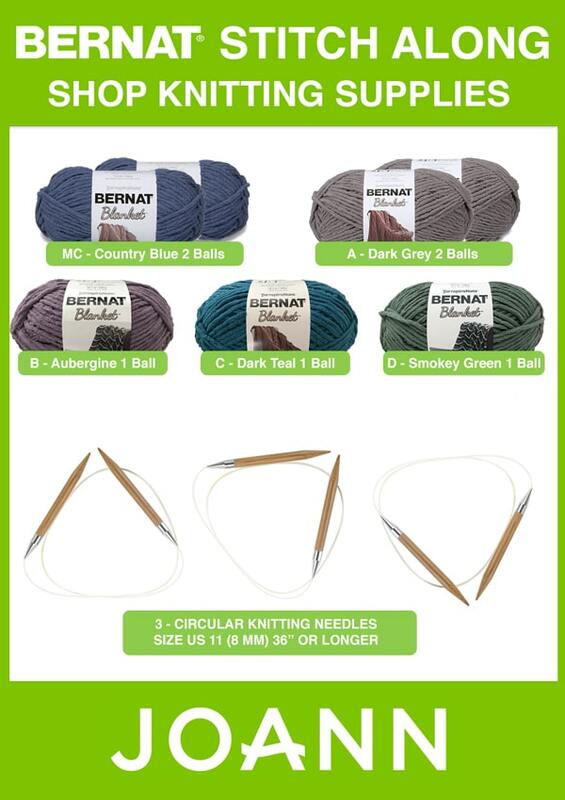 So you can either purchase all three circulars now or wait to purchase those extra 2 needles on week 6. You’ll also want to have scissors and a tapestry needle on hand. 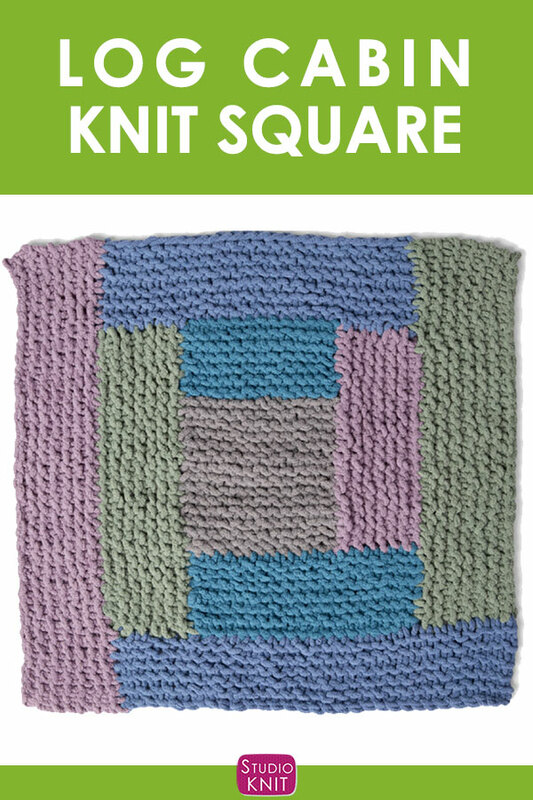 Knitting Gauge for the Blanket Afghan: 4″ x 4″ square is knit with 7 stitches and 15 rows in the Garter Stitch. 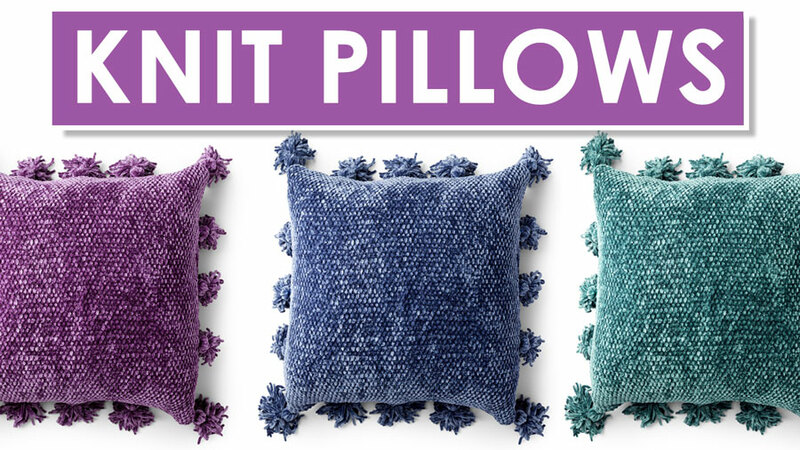 The Mystery Bernat Stitch Along Pillow will be knitted up using one color of your choice in newly launched Bernat Velvet yarn. 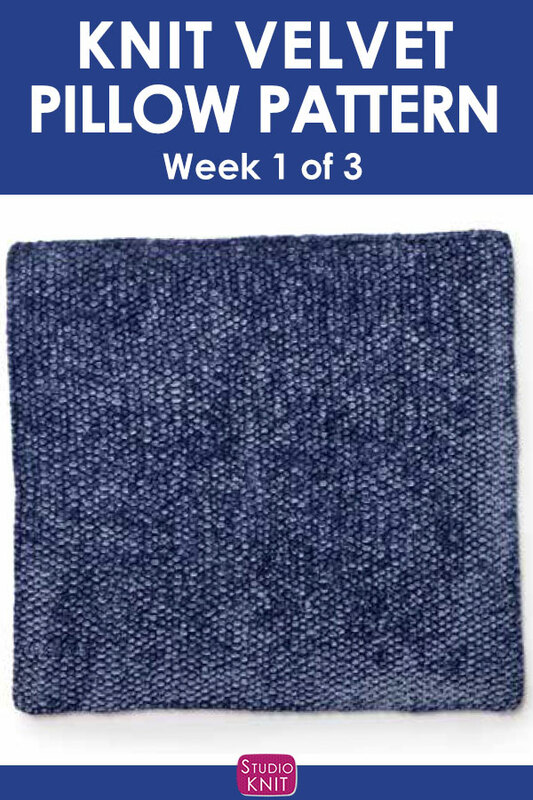 It’s a Bulky weight yarn and I’m going to use this pretty color Indigo Velvet which is available exclusively at JOANN. I’m using one circular knitting needle size 7 US (4.5 mm) and the length should be 24 inches or longer. You’ll also want to have scissors and a tapestry needle on hand. 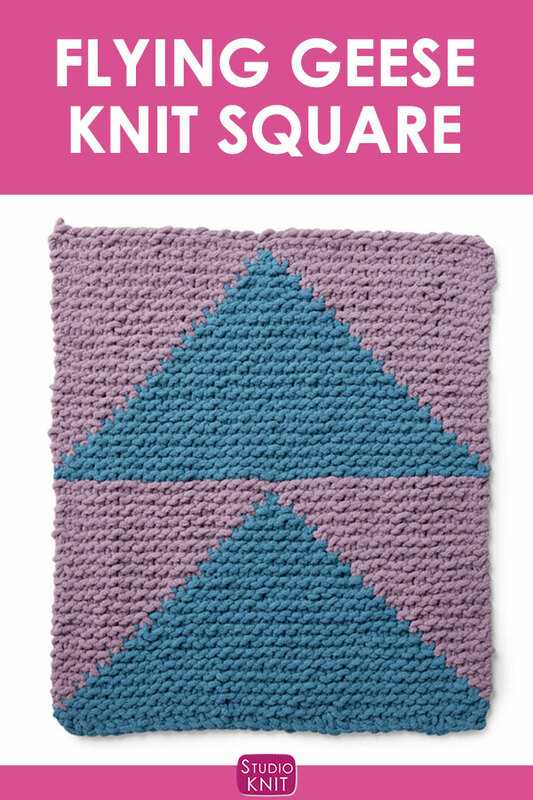 Knitting Gauge for the Pillow: 4″ x 4″ square is knit with 12 stitches and 20 rows in the Seed Stitch. 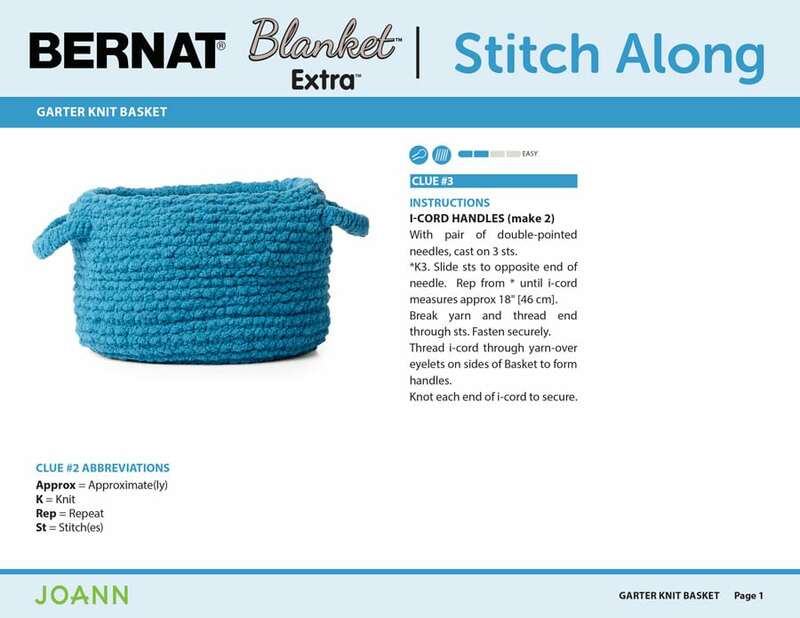 Our Mystery Bernat Stitch Along Basket uses one color of your choice in the new Bernat Blanket Extra, which is a Jumbo weight yarn. I’ve selected the color Velvet Teal, available exclusively at JOANN, to complete the look for my living room. You’ll need 4 Double Pointed Knitting needles size 10.5 US (6.5 mm). 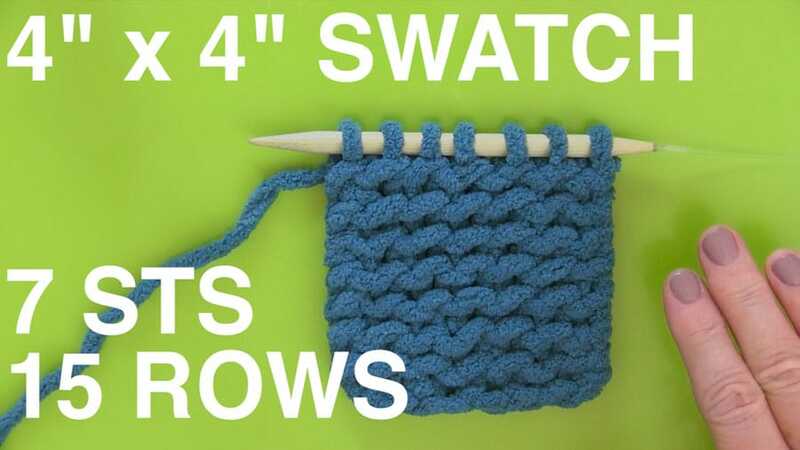 Your two circular knitting needles will be size 10.5 US (6.5 mm) and the lengths are 16″ and 36″. You’ll also want to have scissors, a tapestry needle, and stitch markers on hand. 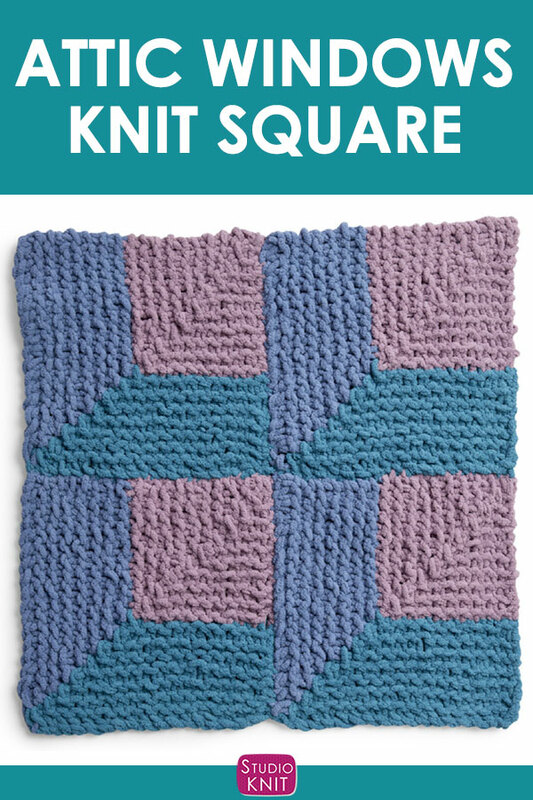 Answering your BERNAT STITCH ALONG questions about Facebook sharing, yarn fiber and colors, free pattern availability, and more! 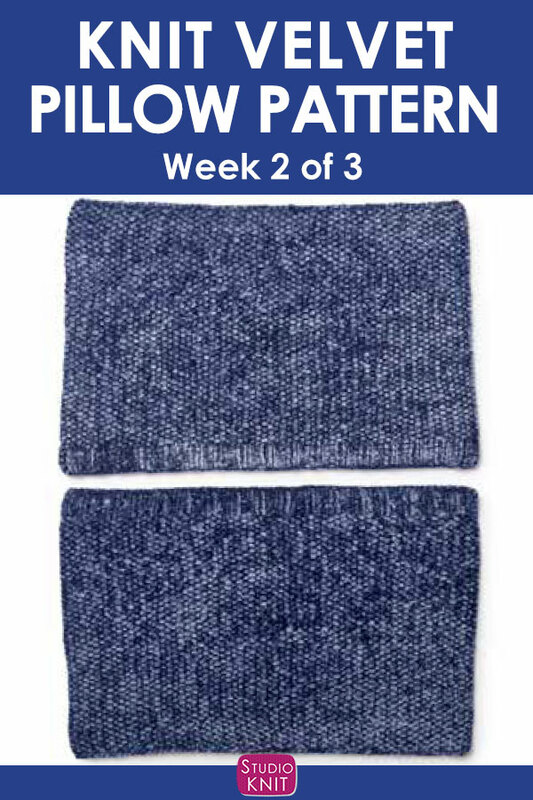 This Easy Stretchy Bind Off is my favorite knitting technique to knit a flexible finishing edge. 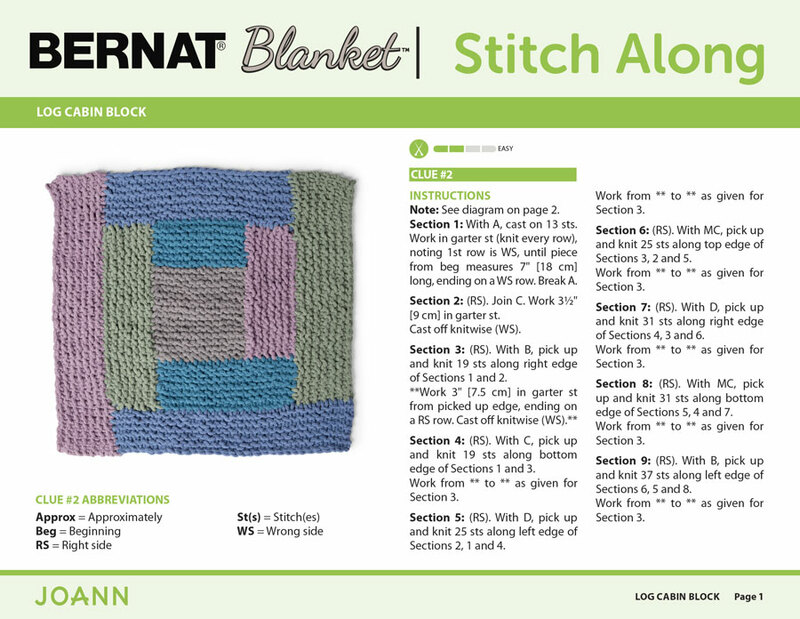 I use in this in the Bernat Stitch Along to help the different sections of the blanket stretch and move. 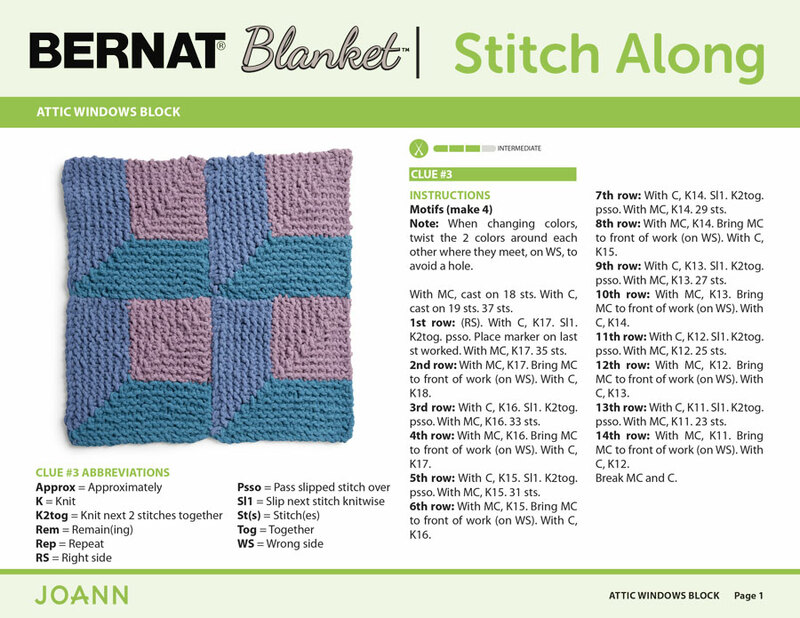 I’m super excited for all you Studio Knitters to join in the fun and can’t wait to see how your Stitch Along projects knit up during our time together. 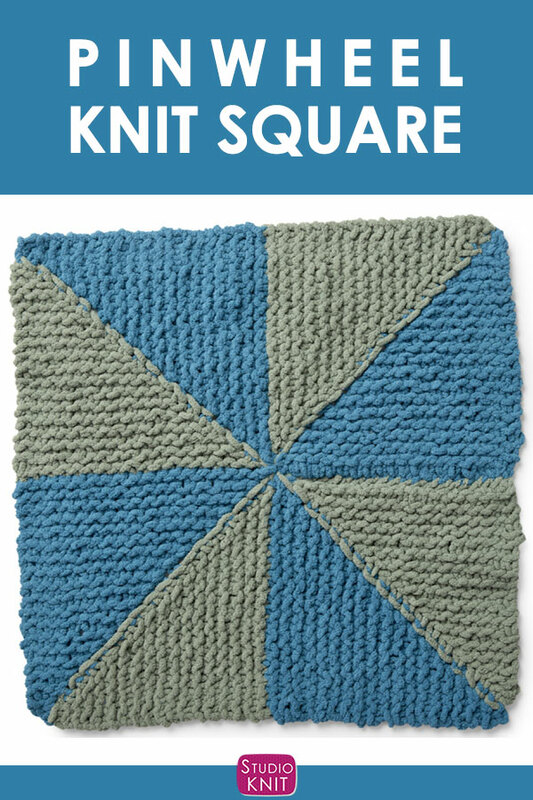 Make sure you join the Bernat Stitch Along Facebook page, purchase your yarn at JOANN.COM, and I will see you September 17, 2018 to reveal Clue #1 of our Mystery Stitch Along. When posting your projects on social media, make sure to use the hashtag #HANDMADEWITHJOANN so we can easily see your creativity come to life!